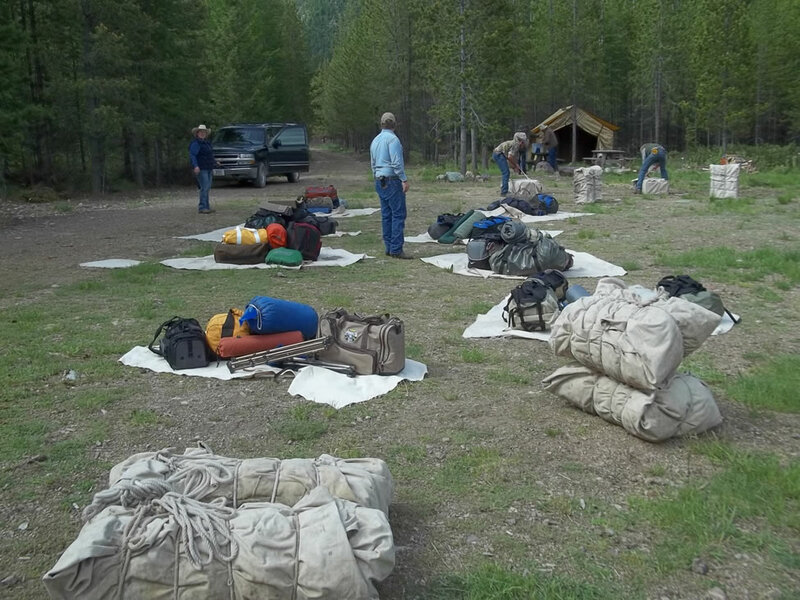 In mid-June every year Mack and Connie Long of Bob Marshall Wilderness Outfitters host a handful of eager students for what is known as the packing skills class. The class is a five day trip into the historic Bob Marshall Wilderness complex to teach new comers to packing the ropes- literally. This past year I was fortunate enough to earn a scholarship through Back Country Horsemen of Montana to participate in the 2017 packing skills class. The packing skills class is every student’s dream, at least every student whoever asked the teacher if they could have class outside. I prefer to think of it as the packing skills adventure rather than class. This is so much more than a traditional class. Being able to spend five days in “The Bob” is truly a once in lifetime opportunity for many of the adventure participants. The central focus of the packing skills adventure is to teach traditional decker packing techniques along with Leave No Trace stock use principles. 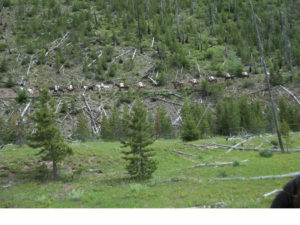 The traditional decker packing method is centered on creating a mantied load and tying to the pack animal using sling ropes. Throughout the five days you progressively learn more until you are able to create a mantie load then tie the mantied load onto your pack stock. You typically do not have to wait around camp long before another opportunity presents itself to practice your newly acquired skill, especially on moving day. Leave No Trace principles are practiced season long by Bob Marshall Wilderness Outfitters and the packing skills adventure is no exception. Leave No Trace is one topic of conversation that is never far off in camp. Mack and Connie are continually interacting with their guests to share tips and tricks on how best to leave no trace even with the largest groups. The packing skills adventure furthered my desire to recreate and strive to maintain the Wilderness. I look forward to using the skills I acquired in the local Charlie Russell Back Country Horsemen chapter. 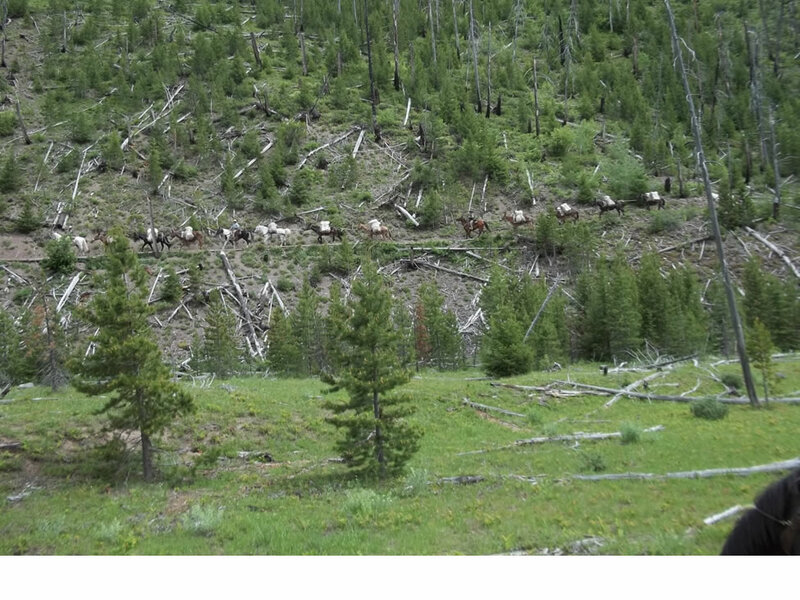 Thank you to Bob Marshall Wilderness Outfitters for providing myself along with the other participants the opportunity to learn from such experienced packers.